IRRIGATORS on the Central Lockyer Water Supply Schemes are hopeful "sanity will prevail" after a fixed price implementation was proposed. It is set to come into effect within the next two years with the introduction of water allocations. Those accessing groundwater and surface water via Laidley and Lockyer creeks that recharge from the schemes currently pay for water based on volumetric consumption only. But it is predicted by the beginning of the new four-year price path from 2021-24, a Part A fixed charge will be introduced that will have irrigators pay a fixed charge for the first time. Relying on the severely underperforming assets of Lake Clarendon and Lake Dyer, farmers will effectively be paying more for water they're not even able to use, regardless of availability or releases from the scheme. The proposal was presented to Lockyer irrigators two weeks ago by Seqwater in preparation for the upcoming review of irrigation prices. Lockyer Water Users Forum chairman Paul Emmerson said the decision didn't make any practical sense, particularly in current dry conditions. "What they're proposing is going to destroy well-established, profitable enterprises, some of which are generational family farms that have survived everything else that's been thrown at them," Mr Emmerson said. 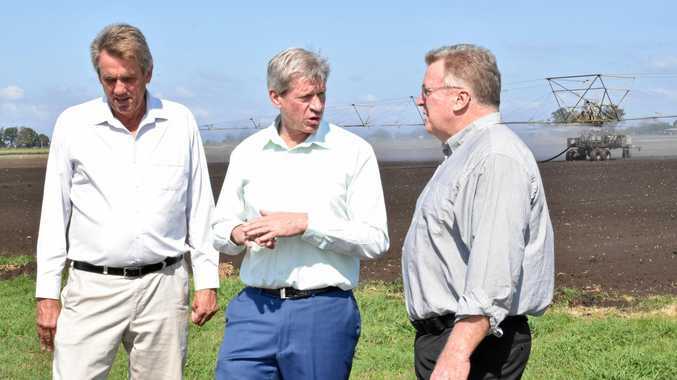 "Central Lockyer irrigators are working on a joint submission with Seqwater that will be submitted to the State Government's Queensland Competition Authority in an effort to try and change the policy." Forum spokesman Gordon Van der Est said something needed to be done. "If we don't get good rain and get some water into Lake Clarendon and Bill Gunn Dam this summer, farm production will be severely impacted. Both dams are currently empty and below dead storage," he said. "Imagine you're getting a water bill and having to pay for water when you can't grow anything because there's no water in the dams. How are you meant to pay the bill if you cannot generate an income?" He praised the efforts of Seqwater for working alongside irrigators to figure out a more equitable plan. "I'm hopeful that sanity will prevail." Member for Lockyer Jim McDonald has called on Natural Resources Minister Anthony Lynham to intervene after outcry from irrigators to the newly proposed price path for the Central Lockyer Water Supply Scheme. "Water and irrigation are the lifeblood of our local region. Put simply, water in the Lockyer Valley means jobs and it means economic prosperity," Mr McDonald said. 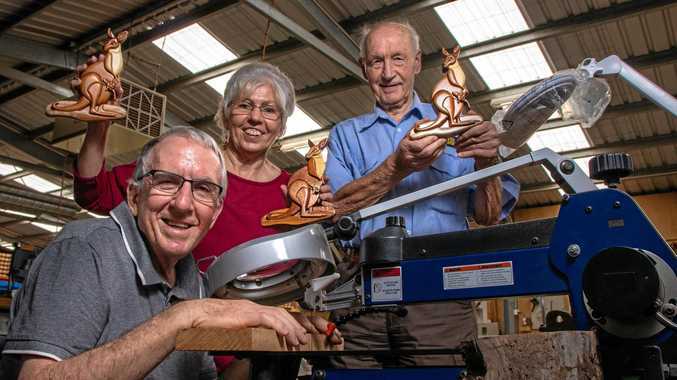 "The produce that comes out of the Lockyer Valley is legendary. "Without the right access to water we put the entire local community's economic fortunes in doubt. "Getting the Lockyer Valley's water plan right is too important to mess up." Shadow Natural Resources Minister Dale Last said the proposed water allocation targets would cost local production and hamper the economy. "We need to ensure all of the work carried out locally on the water plan does not unravel due to miscalculations," Mr Last said. "I think everyone understands that the water allocation situation in the Lockyer Valley is delicate and I commend the local irrigators and the department to date for approaching the negotiations in good faith. "The numbers floated around potential allocations are completely unacceptable and quite frankly were insulting to all the irrigators that have been willingly co-operating to date. "I'm calling on Annastacia Palaszczuk and her minister to urgently intervene in the Central Lockyer Valley Water Allocation Plan."